Since the September issue is fashion's focus for fall, W Magazine has teamed up with Hipstamatic to celebrate 40 years of transformational photography and to have a contest to find themselves fresh, new, and fantastic fashion photographers! The contest focuses on fashion's power of transformation and opens August 20th and ends on October 1st. 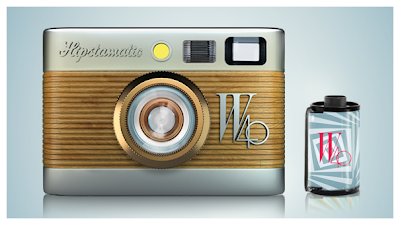 In order to be considered, images must be taken with the W Magazine HipstaPack lens and film. You can visit W's Facebook page to see entries and vote for your favorites. 10 Runners Up will be announced on October 15. The winner will shoot a story for W Magazine!! Enter the contest and see the details HERE. You can also view the Fashion Photography Contest live stream right here from my website! Matte nail polish? How cool! !